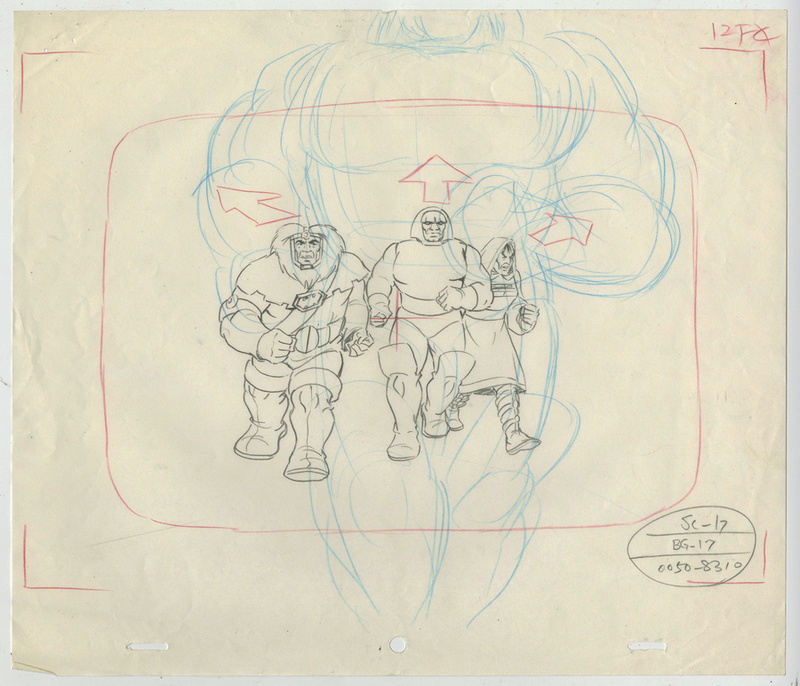 This is a set of three original layout drawings from the Hanna Barbera Studios production of the Super Friends episode, The Bride of Darkseid. 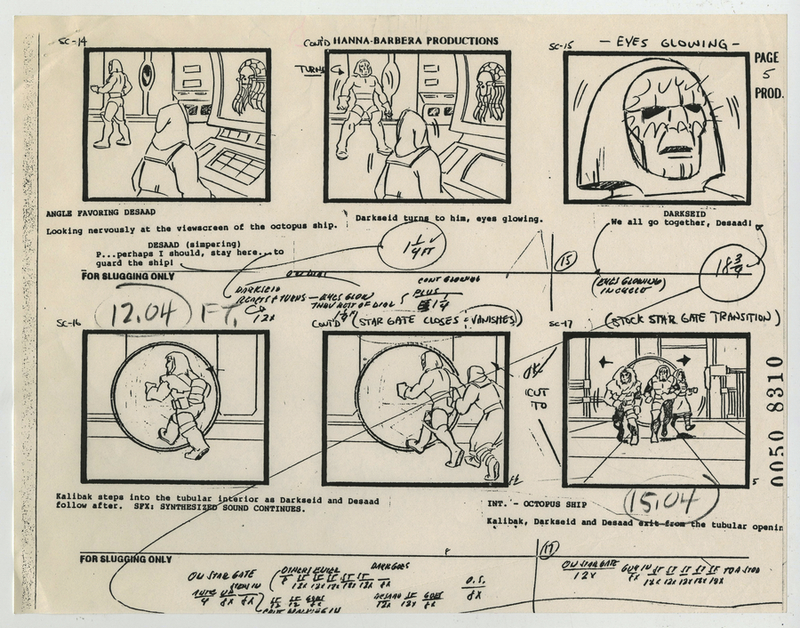 These layouts feature Darkseid, DeSaad, and Kalibak as well as the effect layout and background layout for the scene. 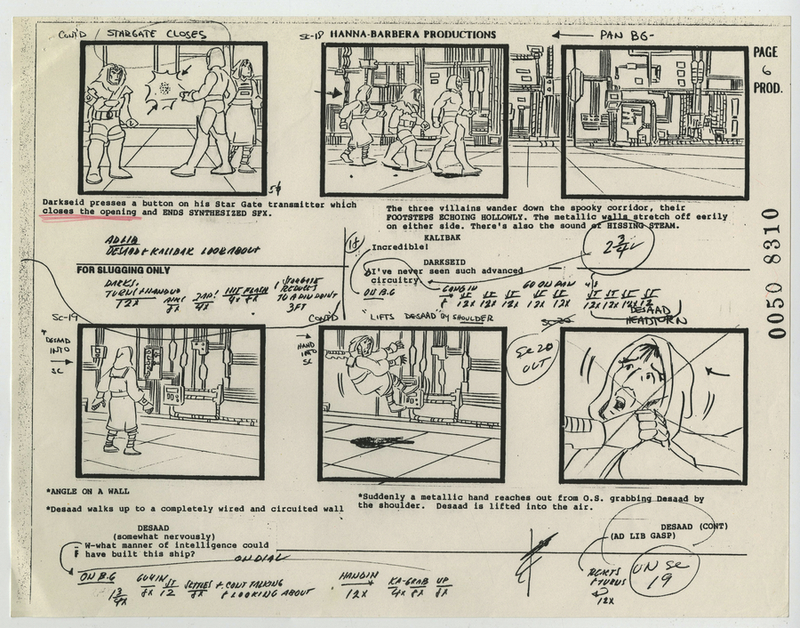 These drawings were created at the studio and used during the production of the episode, which is the first appearance of Darkseid and Firestorm. 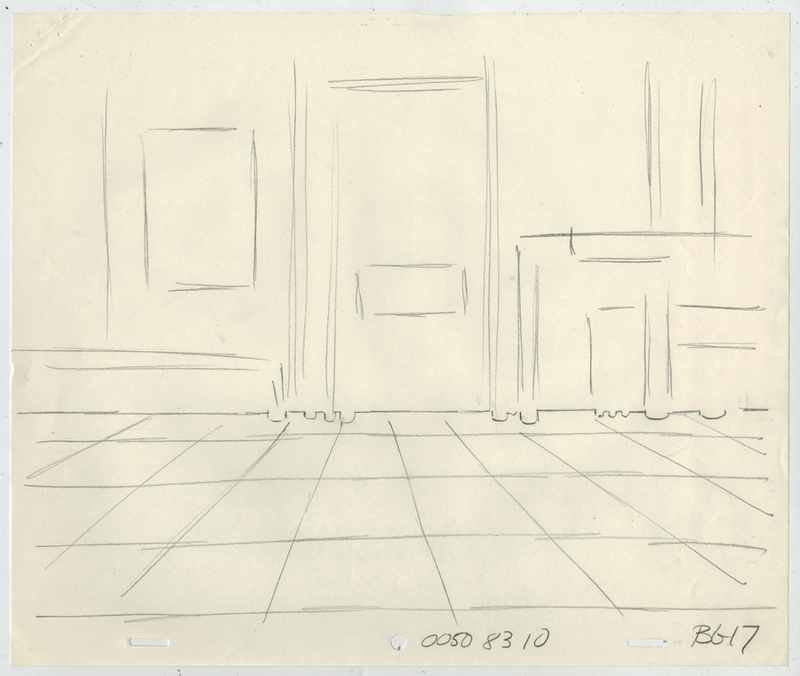 The overall measurements of each piece are 10.5" x 12.5" and the image itself of the three villains measures 10" x 8". 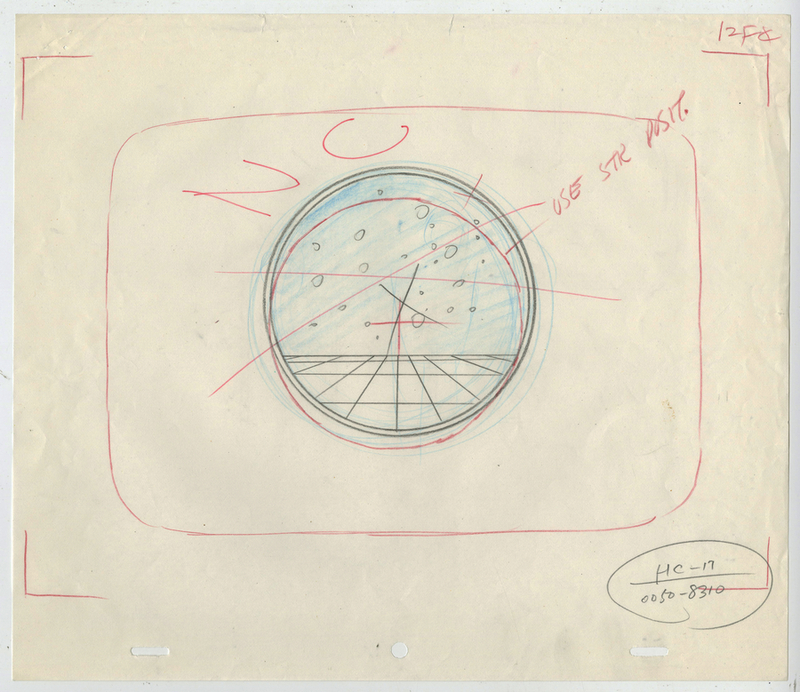 All three drawings are in good condition and they're accompanied by two pages of xerox storyboards from the episode as well.